Of the 187 miles that make up the South Carolina coastline, the Charleston region is arguably the most unique. Where the alluring ocean waters meet distinct coastal cultures, paradise is found. The area is known for gentle, shallow sloping waters with varying tides. An even, subtropical climate and consistent cool breezes provide an environment that is inviting all year long, with water temperatures reaching their peak in the summer. In 2018, Charleston was ranked the #1 U.S. city by Travel + Leisure readers for the 6th year in a row, but the unique personalities of the lesser known beaches surrounding the popular destination truly set them apart as worthy locations of their own merit. 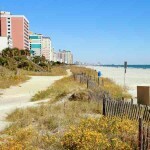 Often called “The Edge of America”, Folly Beach is the closest beach to downtown Charleston. 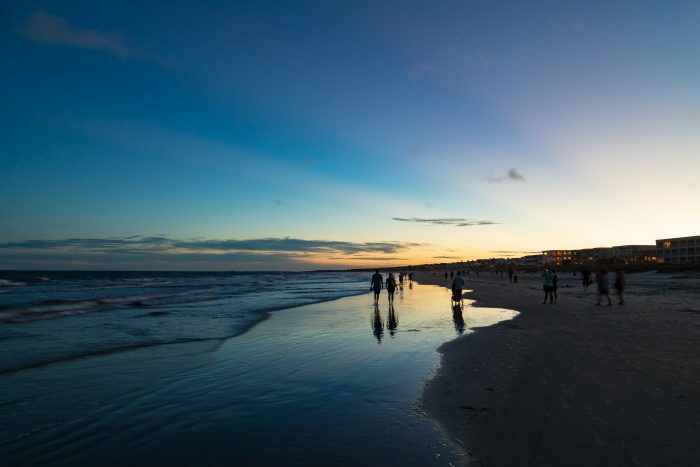 The laidback, free-spirited island vibes of Folly draw visitors and locals alike to the offbeat shops, growing restaurant scene, and abundant recreation options ranging from mild to wild. Folly Island is a haven for surfers, gathering at a popular spot known as the Washout, which is said to be home to some of the best waves on the East Coast. Folly River separates the island from the mainland, providing calmer waters for kayaking and paddleboarding. Anglers will revel in the excellent fishing from Folly Beach Pier – the second longest pier on the East Coast (1,045 feet). The pier is also the ideal location for viewing playful dolphin in the surf beneath legendary Carolina sunsets. Smooth sand beaches and calm inlets define the shores of Sullivans Island, a town steeped in rich history and tradition. The calm waters, tide pools, and offshore sandbar beckon to paddleboarders and swimmers, while windy days lure kiteboarders. Watersports aren’t the only way to appreciate the island. Sightseers can take in the views of the Morris Island Lighthouse and passing ships. History buffs will marvel at Fort Moultrie, instrumental in holding off British forces in the American Revolution. Cap off the perfect beach day with a meal from any number of the diverse eateries along Middle Street, especially local favorite, Poe’s Tavern, named in tribute to author Edgar Allen Poe who briefly called the island home. At just over three miles in size, Sullivans Island is an idyllic retreat for a relaxing getaway full of majestic views, delectable cuisine, and exciting glimpses into the past. One of the more upscale of the Charleston-area beaches, Isle of Palms is also one of the most family-friendly! The beachfront is home to charming shops, restaurants, and six miles of white sand shores. Live music, voleyball, ice cream, and adult beverages fuel the island vibe, but the area is also a favorite spot for nesting sea turtles, calling for a community-wide “lights out” rule during nesting season to avoid disorienting the island’s beloved turtle inhabitants. Enjoy Isle of Palms by land with championship golf and tennis courts, or by sea on an offshore charter excursion. The island’s reputation for the best charter fishing on Charleston’s coast is well-earned, and numerous local seafood restaurants are more than happy to clean, cook, and serve up your prize catch! One of the most natural segments of the South Carolina coast, Dewees Island is an undeveloped barrier island only accessible by ferry. Cars are prohibited on the island, which lends itself well to exploration by bicycle, golf cart, or kayak. 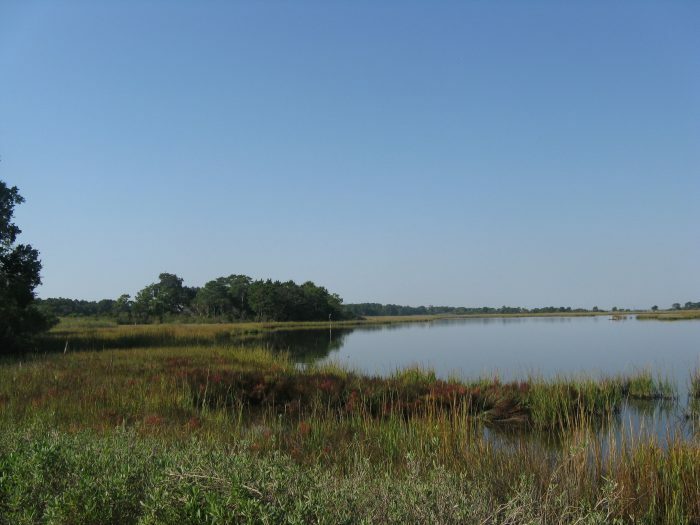 While you won’t find shops and restaurants on Dewees Island, you will find thriving marshes and tidal ponds that serve as natural habitats to diverse species of birds and fish, dolphin, crabs, and coral. Conservation and the island’s unique ecosystem are very serious business on Dewees Island, where visitors are encouraged to observe eco-friendly behaviors to help preserve the pristine site. 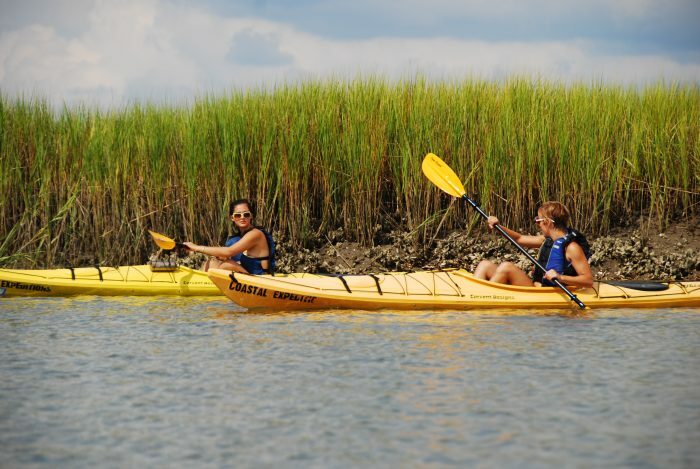 Dewees Island is the perfect place to disconnect and redicover peaceful, natural recreation. 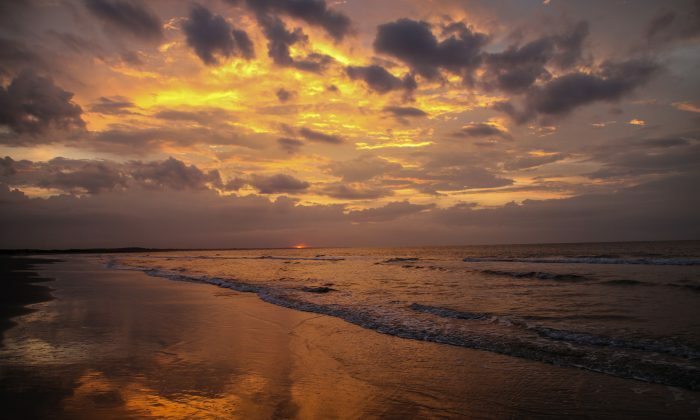 Seabrook Island is three miles of barrier island with unspoiled shoreline and Colonial history. This private, beachfront community, just thirty minutes from Charleston, features championship golf, tennis, and aquatics centers, tranquil beaches, oceanfront dining, and a full-servce equestrian facility. A notable activity unique to Seabrook Island is horse riding on the beach – something you won’t find anywhere else along the Charleston Coast. From luxury spas and award-winning golf to preserved forests and marshes teeming with birds, deer, and even alligators, Kiawah Island has an adventure for every appetite! With more than 40 miles of bike trails and 10 miles of beach, there’s also plenty of opportunity to relax, get fit and admire the coastline. Beachwalker Park provides the only public beach on the restricted-access island – a beach consistently deemed one of America’s best, and recently dubbed the “Second Most Romantic Beach in America” by National Geographic Traveler. Beachwalker on Kiawah is also one of the few Charleston-area beaches declared dog-friendly year-round. Local artisans, upscale boutiques, cafes and ice cream shops provide beachgoers with ample opportunities to shop and stroll. An eerily beautiful testament to nature, Bull Island is one of the few Charleston-area islands left to the elements. Natural high-tide erosion patterns have carved away at the once-dense forests of Bull Island to reveal 7 miles of shell-rich, undeveloped beach, including the highlight Boneyard Beach and its sun-bleached remnants of wilderness. The island is home to nearly 300 species of birds (the most diverse avian population in the area) at Cape Romain National Wildlife Refuge, which also serves as a popular hiking spot. Bull Island can only be reached by private boat or seasonal ferry service. 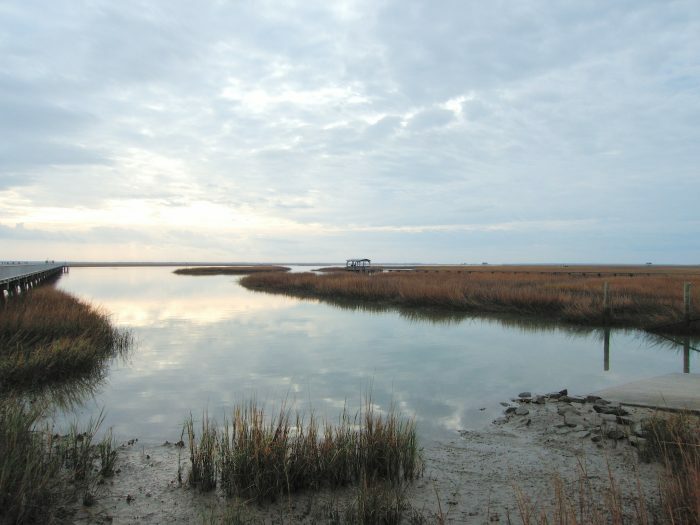 Boasting miles of marshlands and wooded areas, Wadmalaw Island is the self-proclaimed “Back Porch” of Charleston. The 10-mile long island, accessible by bridge, may be the only Charleston-area beach whose beach isn’t the main attraction. Wadmalaw’s Charleston Tea Plantation is the only still-functioning tea plantation in the country, and home to American Classic Tea. Learn the history of tea and then stick around for a sample on this free tour before heading over to the Firefly distillery for local sugar cane, tea, and muscadine grape-infused spirits. 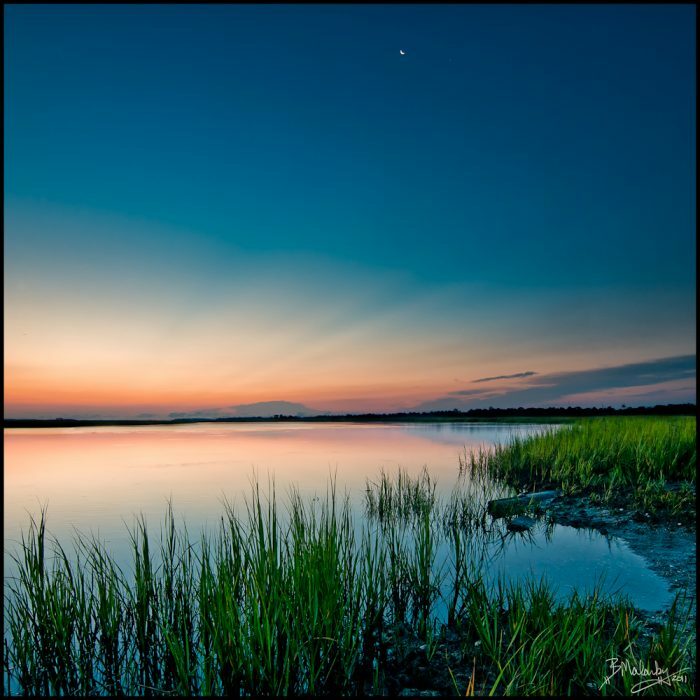 You can’t go wrong when planning a getaway to the Charleston coast, but with a little understanding of the distinct vibes and characteristics that define the surrounding area, you can surely make it go a bit more right. Which Charleston-area beach speaks to you?